YEREVAN, April 24. /TASS/. 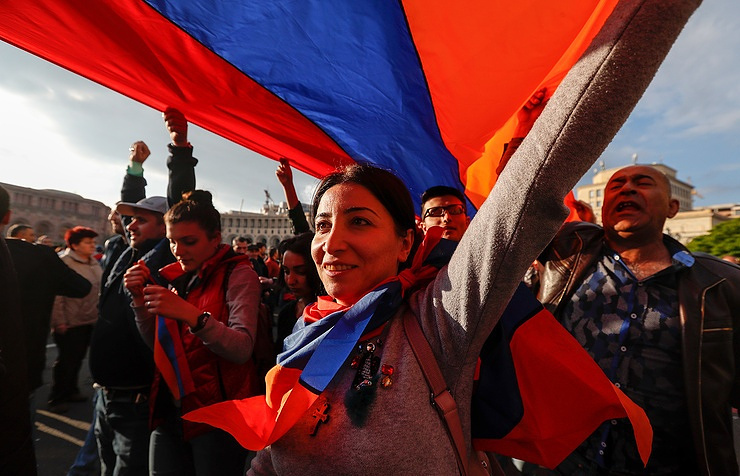 Opposition in Armenia will continue the revolution through to the logical end, parliament deputy Nikol Pashinyan, a leader of the opposition, told a news conference on Tuesday. "There'll be no breaks until our revolution gets through to the logical end," he said when a reporter asked him if he would continue appealing to the nation to join protest actions or would make a pause for talks with the authorities. On April 17, the national parliament elected the former President of the country, Serzh Sargsyan, to the office of Prime Minister after his nomination by the ruling Republican Party. 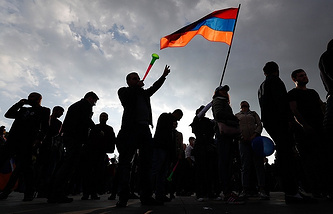 On Monday, April 23, Sargsyan resigned on the background of spreading actions of the opposition, which began on April 13. After his resignation, First Deputy Prime Minister Karen Karapetyan became Acting Prime Minister. In the meantime, opposition leader Pashinyan said he was ready to become the country’s Prime Minister if the people would express its will for this.